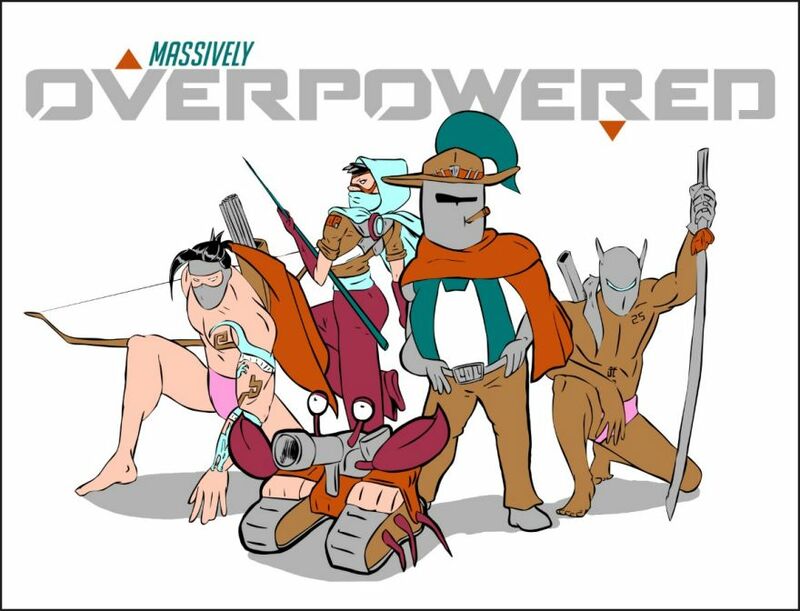 If Massively Overpowered’s Mo and the Sword & Bored comic crew went to BlizzCon, whom would they cosplay? “Over”watch characters, of course. Introducing the official MoCree tee! Designed by MOP’s Larry Everett, our Mo-themed Overwatch parody t-shirt features Mo Powers as McCree, Amilya as Tracer, the Underpants Ninjas as Hanzo and Genji, and Crabby the Horrified Crab as Bastion. You know you wanna buy one. Let’s make that happen. We’ve made sure to include a couple of different styles for men and women in colors that make sense for the design, and the size range is pretty generous too. Shirts are available until the campaign’s close on November 14th, and then they usually take a week or two to ship out through Teespring. The company will ship to Canada and overseas, just note that the shipping isn’t as cheap as to the US. The Underpants Ninjas are killin’ it. 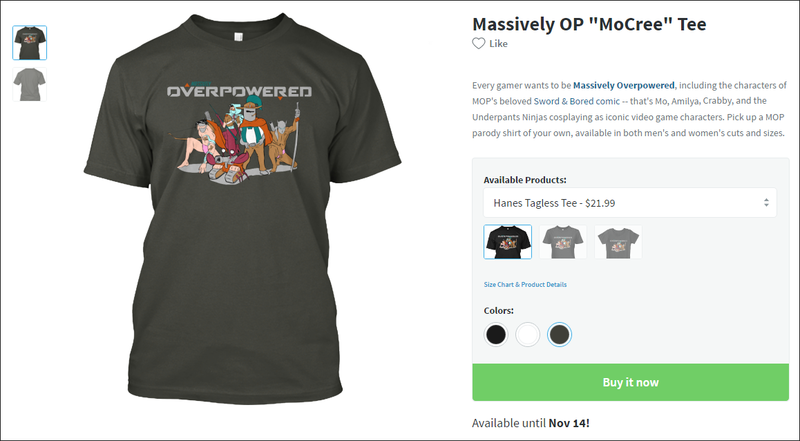 Massively OP takes a cut of the profit from vendor Teespring on each shirt, so if you’ve wanted to donate to the site outside of Patreon or show your appreciation for our coverage this year, this is a great way to do it and get something useful and amusing in return. Plus, MoCree, you guys.